Nestled on the beach, this Langkawi hotel is within 2 mi (3 km) of Tengah Beach, Pantai Cenang Beach, and Underwater World. Cenang Mall is 1.3 mi (2.2 km) away. All 258 rooms provide conveniences like sofa beds and coffee makers, plus free WiFi and LCD TVs with satellite channels. Other amenities available to guests include balconies, 24-hour room service, and minibars. Simply step outside to unwind on the hotel's beach. 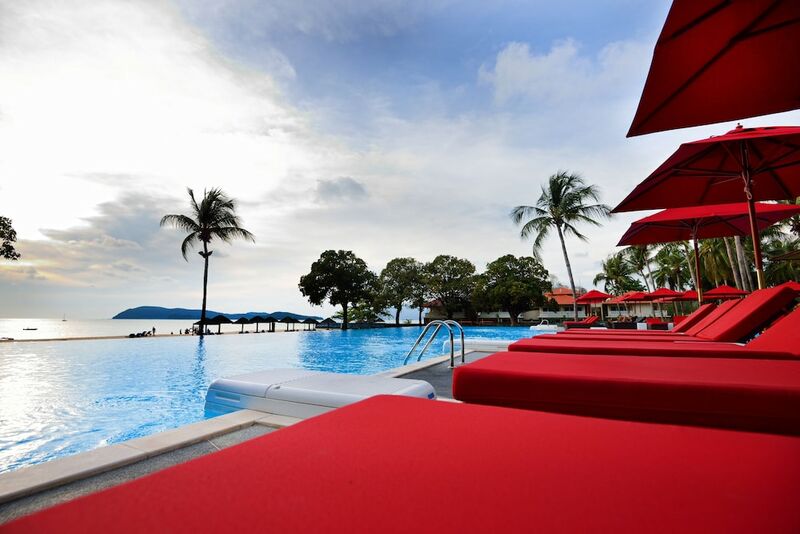 At Holiday Villa Beach Resort & Spa Langkawi, pamper yourself with a treatment at the full-service spa or have fun in the sun with activities like parasailing and water skiing. Dining is available at one of the hotel's 4 restaurants. Guests can unwind with a drink at one of the hotel's bars, which include a poolside bar and a bar/lounge. A computer station is located on site and wireless Internet access is complimentary. This beach hotel also offers an outdoor pool, a children's pool, and an outdoor tennis court. Limited complimentary onsite parking is available on a first-come, first-served basis. Lagenda Restaurant - This restaurant overlooks the garden. Open 24 hours. Matahari Lounge - Onsite restaurant. LaVilla Pool Club & Rest. - This bar is located by the pool. Open daily. Start your morning with a buffet breakfast, available each day from 7:30 AM to 10:30 AM for a surcharge. You can order a meal from 24-hour room service. A private beach, an outdoor tennis court, and a health club are featured at the hotel. An indoor pool, an outdoor pool, a children's pool, and a spa tub are on site. Other recreational amenities include a steam room. Guests can pamper themselves with a trip to the onsite spa, which has 5 treatment rooms. Services include facials, body treatments, and manicures and pedicures. The spa is equipped with a sauna and a steam room. A variety of treatment therapies are provided, including aromatherapy.